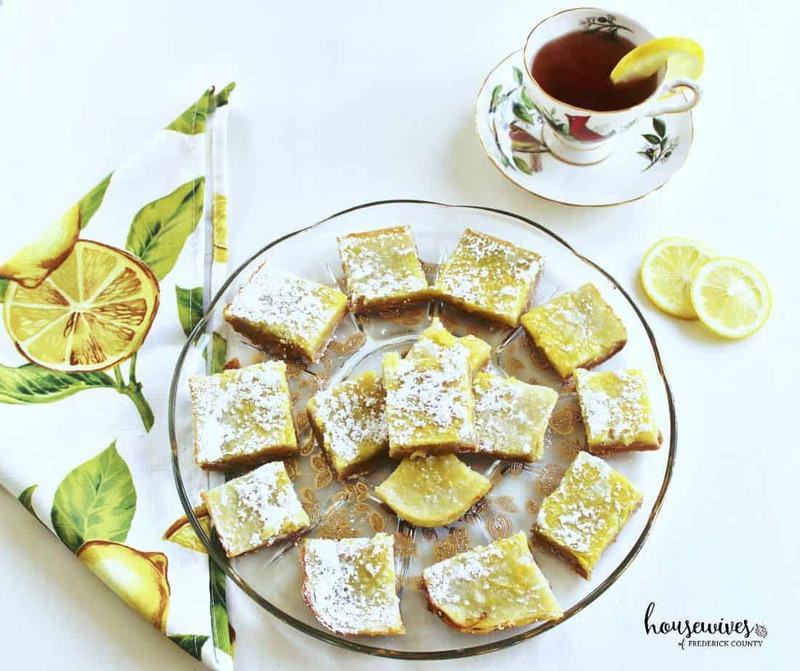 I’ve always LOVED lemon squares! Why? 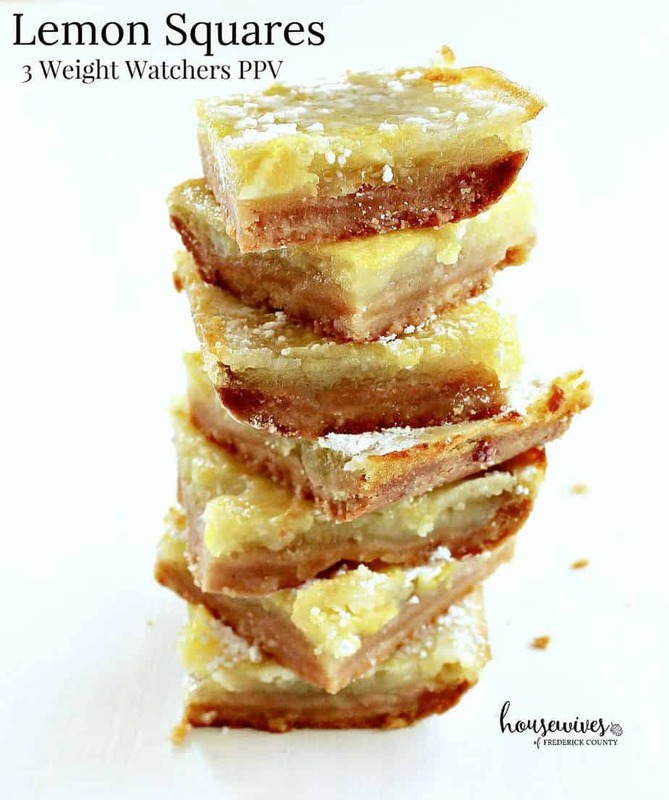 Because the tangy, lip-puckering, lemon topping with the crisp-crusty bottom makes for the perfect dessert square. For some reason, in my entire lifetime, I’ve never made them myself, until now. Because I aim to be health-conscious as much as possible (winter hibernation is ovah! 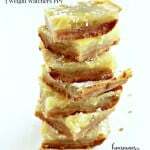 ), I wanted to find a Weight Watchers friendly version of one of my favorite desserts. And if you want to know why I always choose Weight Watchers friendly recipes, here’s a recent article in Business Insider, Weight Watchers’ new – and surprisingly effective – points system doesn’t take into account how much weight you want to lose. 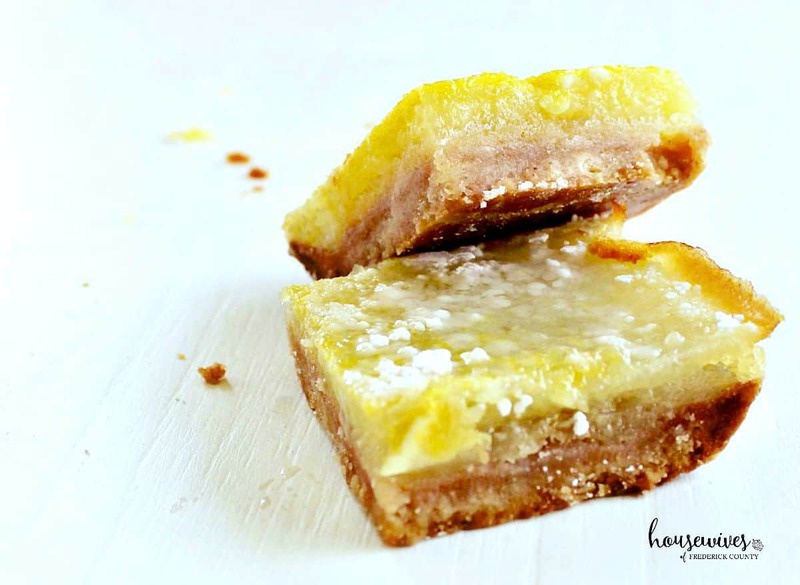 So, I ripped this Lemon Squares recipe right out of my Cooking Light calendar and decided to make it. 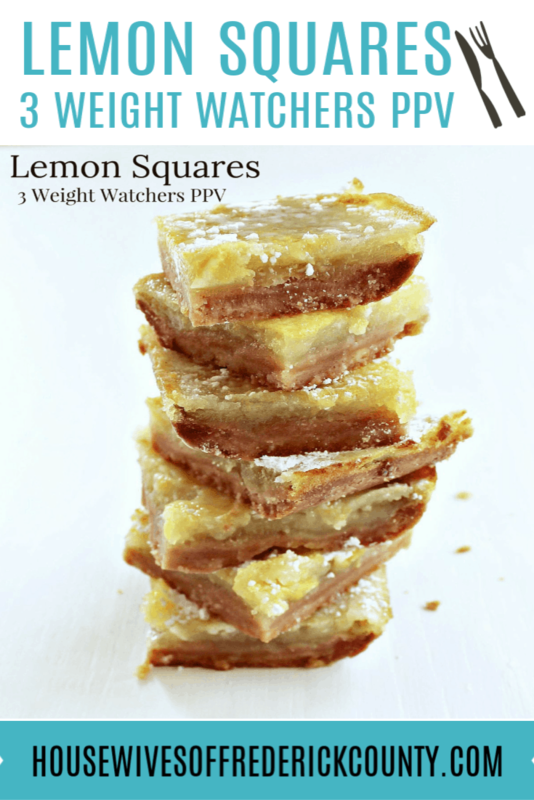 This recipe is HALF the Weight Watchers points of the conventional lemon squares recipe, without losing ANY of the taste! Another beauty of this lightened up version is that there are no artificial sweeteners. So, no weird aftertaste like some other lightened up dessert recipes. 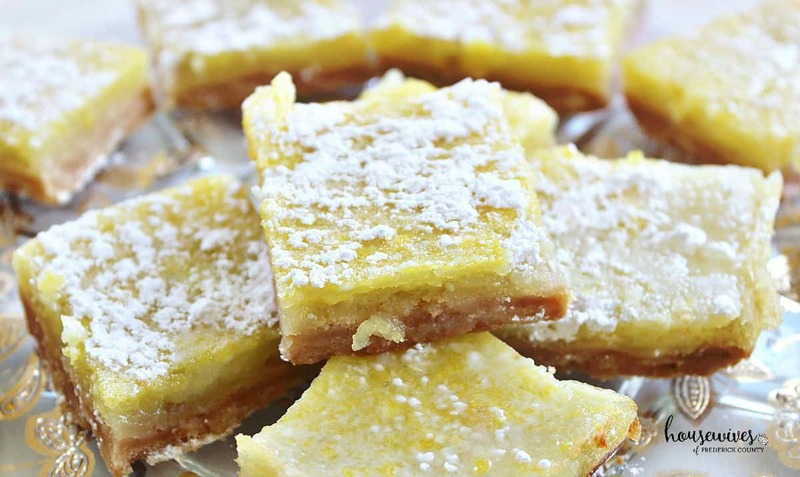 Furthermore, they’re just as delicious as any other lemon squares I’ve ever had. Weigh or lightly spoon flour into dry measuring cups; level with a knife. Place flour, 1/4 cup powdered sugar, pine nuts, and salt in a food processor; pulse 2 times to combine. Add butter and canola oil. Pulse 3 to 5 times or until mixture resembles coarse meal. Place mixture into the bottom of an 8-inch square glass or ceramic baking dish coated with cooking spray; press into bottom of pan. Bake at 350 degrees for 20 minutes or until lightly browned. Reduce oven temperature to 325 degrees. Combine granulated sugar and next 5 ingredients (through egg white) in a medium bowl, stirring with a whisk until smooth. Pour mixture over crust. Bake at 325 degrees for 20 minutes or until set. Remove from oven, and cool completely in pan on a wire rack. Cover and chill for at least 2 hours. Sprinkle squares evenly with 2 tablespoons powdered sugar. And, if you don’t have a food processor, do yourself a big favor and get one! It will more than make up for its cost if you like to bake like I do. Plus, it’ll give you more excuses to whip up some new recipes along with some old favorites! Groupon has a ton of deals on food processors. Just click on this affiliate link => Groupon and put in food processor in your search. This Braun FP3020 12 Cup Food Processor has a ton of great reviews. As you can see from my pictures, they turned out great. The ingredient that surprised me the most was the pine nuts. 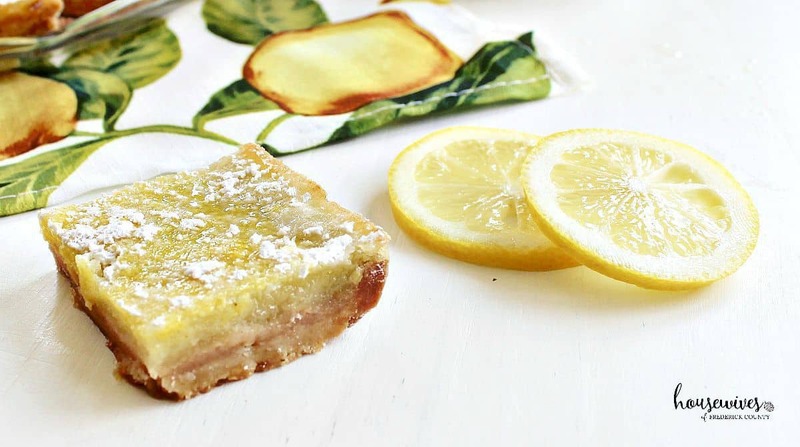 I’ve never seen a lemon squares recipe with crushed up pine nuts in the crust. But they really turned out great. The crust is crisp-flaky, just the way I like it! And, by the way, if you’re looking for pine nuts and don’t feel like going on a wild goose chase like I did, they sell them on Amazon. These Farm Fresh Nuts Pine Nuts have gotten great reviews. They ain’t cheap, but take it from me, you’re not going to find them cheaper or better quality than these. You can justify buying them because you can use pine nuts in a ton of recipes: cookies, pastas, salads, veggies, sandwiches, like my Pesto, Toasted Pine Nut, Mozzarella Panini Recipe. 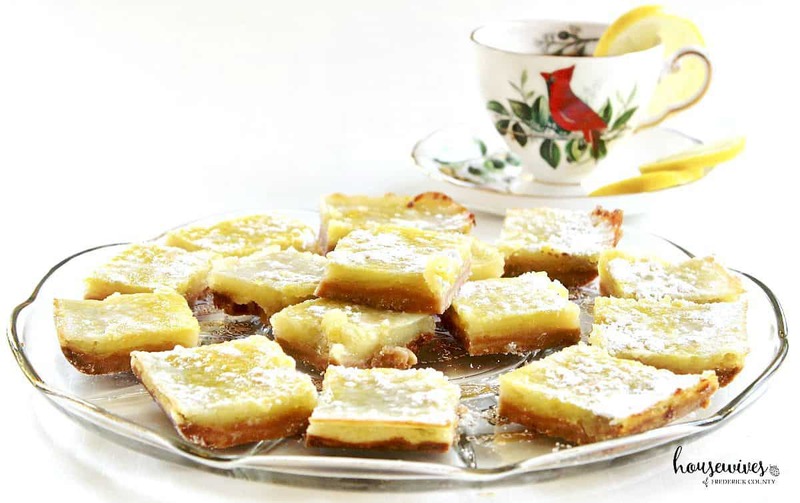 And the topping is just as tangy, lemony, lip-puckering and lightly sugary as the best lemon squares out there. Do you have a favorite, lightened up, healthier dessert recipe that you’d like to share? In the meantime, I’ll be in my kitchen partaking in another little no-guilt square of heaven! And if you’re looking for more healthy, delectable recipes, I highly recommend The Skinnytaste Cookbook: Light on Calories, Big on Flavor. 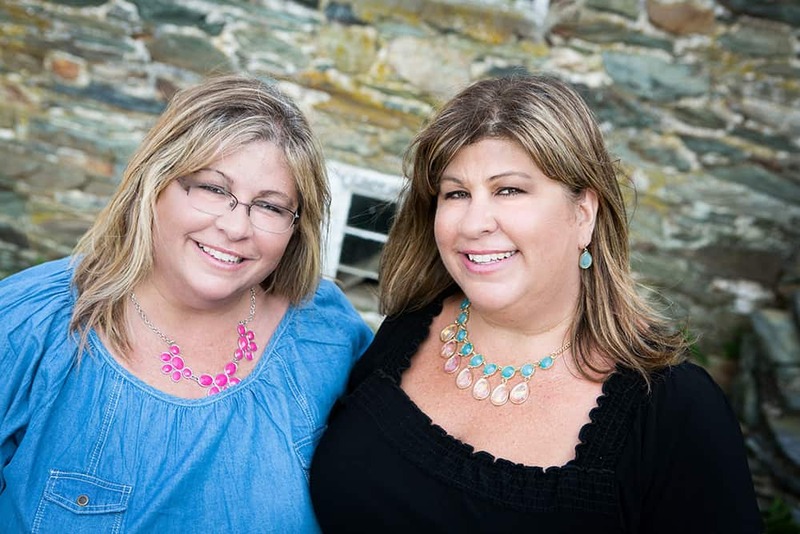 The author, Gina Homolka, is a fellow blogger, just like us! Note: Our posts may contain affiliate links. If you buy a product from one of our links, we get a very small percentage. It’s our tiny little way of keeping our blog going and continuing to be a great resource to our readers. Thank you Shelley! I will add that in!